Here are 5 steps we are implementing to grow that total number to 70. This list focuses on ways we are using to increase numbers in the small church congregation. As a church adds to its numbers, do not forget the actual work of evangelism: share the gospel message with those becoming part of your community of faith. While we might agree that evangelism in the small church is not about numbers, you can’t reach a goal if you don’t set one. 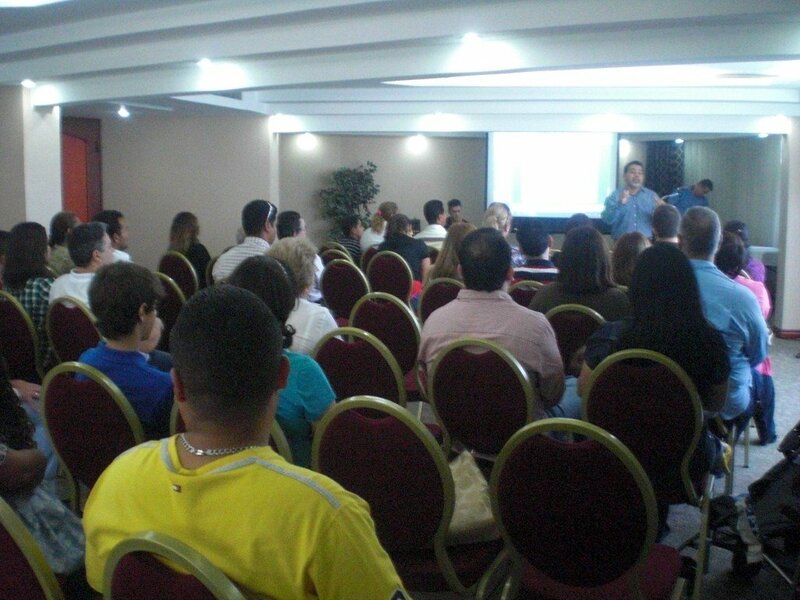 We have set a goal to reach a consistent attendance of 70 people within the next few months. From our current regular attendance of 55, we need to add 15 people, a realistic number. We don’t expect to reach an currently unrealistic goal of 200. A year ago, our church started with 4 adults and 4 children. The invitation of a friend or family member is still the most effective form of adding people to your church. Our leadership team regularly calls people into prayer about inviting people, including strangers that we meet who express a spiritual thirst. We regularly launch new sermon series on a life theme to give a natural invitation point for friends to be invited. We have small groups that are open to connecting people that want to take that step. Inviting others is being built into our DNA. Our members pray (see number 5) regularly and are sensitive to opportunities to invite people to church. Even last week, a complete stranger showed up who had been invited the day before during a random encounter. The stranger had been chatting with our church member about her search for happiness and our member gave her a church invitation. She came. (Update: after several weeks, she took baptism). Your hospitality system plays a role in shaping a visitor’s decision to return and get involved. Greet visitors when they come, visit with them after the service, and most of all, remove the unnecessary barriers that keep visitors from making that second visit. Just last week, we invited a family in our neighborhood to join us for church. They came and had such a good experience they have promised to come again this week. Hospitality and welcome plays a role in this. We also look for opportunities to pray with our guests before they leave. This often opens the door for God to work and for our guests to notice that God is concerned about them as well. I’m not talking about mission statements and cliche verbage, but rather the hands on work of serving in the community – be that in the schools, in the parks, in the orphanges, etc. How One Church Re-engaged the NeighborhoodWhat is your church doing to be an agent of transformation in the community? Churches that spend themselves on behalf of those on the margins (and sharing their faith as well as serving) have an attractional element for people who want to do something with their lives, not just attend a monologue bracketed by a few songs. If I don’t play an instrument, sing well, or enjoy their style of music, there is no place form me and I won’t return. But if a church is tutoring kids, sharing food with the hungry, building affordable housing, cleaning up the streets, mentoring work-release people – I want to be involved. We are still doing our community exegesis about the needs of our community. We’ve visited with three high schools and talked with their leadership. In the meantime, our small groups set aside a time every six weeks to do a community service project. If you’ve got a great mission in the community, you’ve got a reason for people to come back and get involved. I’ve found from John 15 there are two keys to effective prayer in general. Abide – an intimate relationship with Christ. Ask – Jesus invites us to ask. This key theological point has rattled my soul. What can I ask for that would advance God’s kingdom? What is something measurable can you ask for? That your unchurched neighbor will accept your invitation and come to your church? That your church would add 15 new believers this year and celebrate their baptism? That 4 visitors would join the church over the course of the next 8 weeks? That you could invite 5 people in the next 10 weeks who express a need for church? What is something specific that you can ask the Lord for with regards to your evangelism efforts? Prayer is key to all church growth. Lots more to say . . .
By no means is this list exhaustive. But these are action steps we are applying in our local context to grow our small church. Your suggestions are great. Not all small churches have the same potential for growth but all can put these steps to work and reach as many as possible. These five factors are essential. Very practical advice. Thank you. The Gospel is the answer. We just need to share it. Beloved thank you for teaching us how to grow a small church can you please kindly help me to grow my small church. Thank you for giving us simple,achievable and pra tical steps to grow our church. 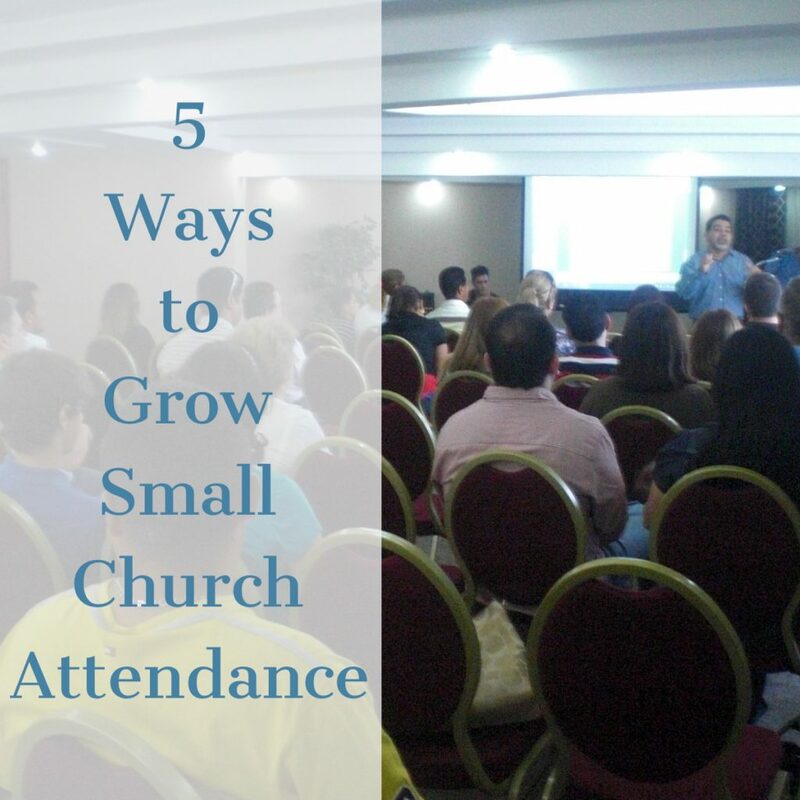 Hi, I am so fascinating by your practicle advice 5 ways to grow small churches /ministries this indeed an exciting challenge for our small ministry. This because of its practicality will be implemented immediately. To God be the Glory. That’s awesome may God continue using you to empower the body of Jesus Christ. My Church is small but trusting God for it’s grows. God bless you pastor. I look forward to read from you.